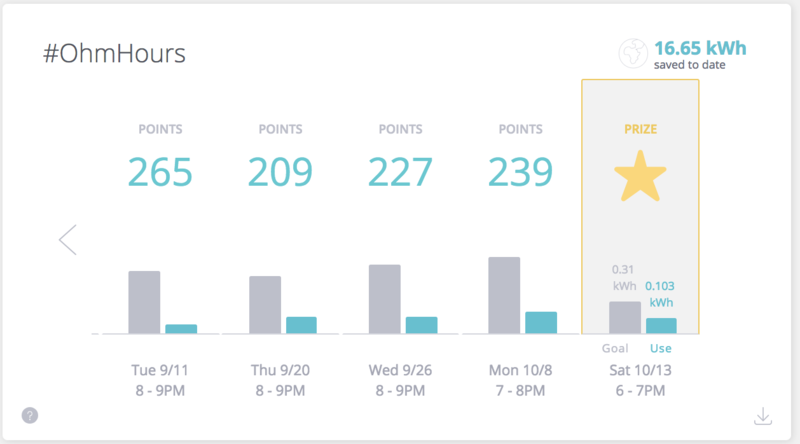 Hours during the week when saving energy helps the grid and earns you rewards. When it comes to reducing energy with OhmConnect, there are different kinds of #OhmHours. Regular (or Points #OhmHours), Prize #OhmHours — and sometimes also MEGA #OhmHours (read about those here). What's different about Prize #OhmHours? Instead of earning points for using less energy, Prize #OhmHours give you a chance to win a prize. You'll get an energy-saving goal for each Prize #OhmHour, and if you beat it, you'll be entered to win the next prize drawings (which happens every 2 weeks). 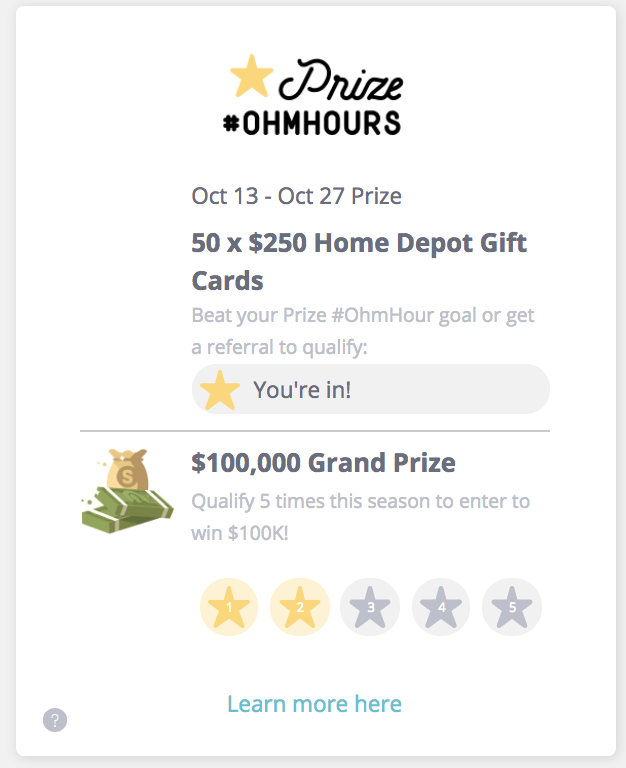 The Prize goal will be lower than your average energy use (what we call your forecast for regular #OhmHours), but it will a lot easier to beat than the goals were for MEGA #OhmHours. We'll announce a winner every other Sunday on Facebook Live at 5pm and if you are lucky enough to win, we'll inform you via email, and a message on your #OhmConnect dashboard. We will be giving out some major prizes this season. Things like: your mortgage paid for a month, a trip to Hawaii for your family, or a whole lot of cold-hard-cash. Want in? Beat your Prize goals and tune in to see if you're the next lucky Ohmer! What about streaks and status? During Prize #OhmHours, you won't earn points for beating your forecast, but these #OhmHours do count toward your streak and your status. To maintain your streak, you just have to beat your forecast (the average energy you've been using over the last 10 days) during a Prize #OhmHour. For example, if your streak was 15 before the Prize #OhmHour and you beat your forecast, your streak will be 16. If you choose to OPT-OUT, you will lose your streak but will not receive any negative points (prize #OhmHours do not award or deduct any points). When we calculate your status level, it will be the same overall calculations - the average of your past 20 #OhmHour reduction. Remember, since some #OhmHours will be for points and others will be for prizes, you want to make sure your streak and status are going strong, so you maximize the points you get whenever a point-OhmHour comes your way.